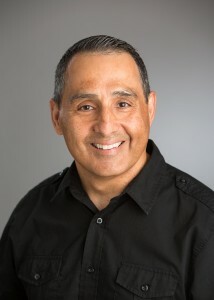 Oscar Ybarra is Professor of Psychology and Professor of Management and Organizations at the University of Michigan, Faculty Associate at the Research Center for Group Dynamics at the Institute for Social Research, and Affiliated Faculty in Organizational Studies. Dr. Ybarra is also the Director of Innovate Blue, U-M’s campus-wide unit on innovation and entrepreneurship. He received his Ph.D. in social psychology from New Mexico State University in 1996. He then took his current post at the University of Michigan. Dr. Ybarra’s research revolves around the social underpinnings of cognition and intelligence, how people navigate their web of relations with others, and how people balance connecting socially with the need to pursue and protect personally valued goals. Dr. Ybarra’s research has been published in the top journals in the field, and his work on social judgment has been used in presentations before congressional hearings on aging and fraud. His research on mental exercising through socializing, and Facebook use and wellbeing, has received much national and international media attention.